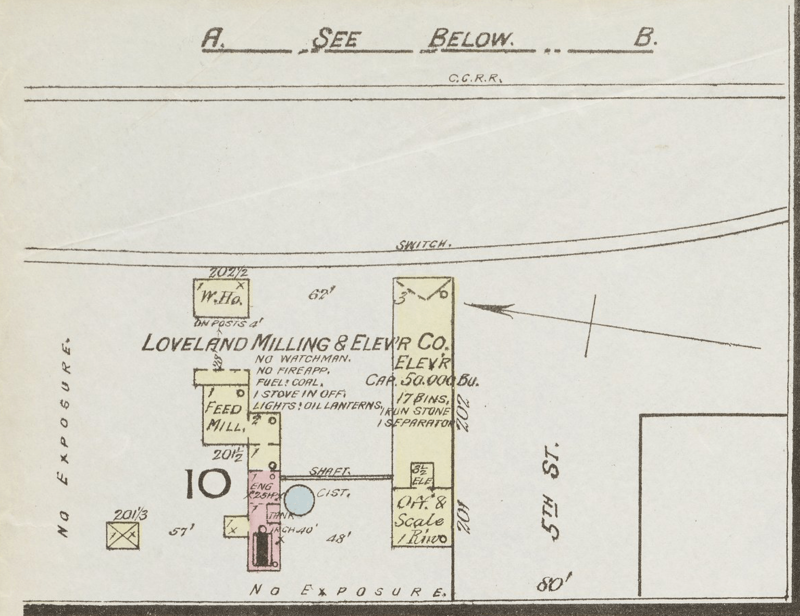 The Loveland 1886 Sanborn Map is a one page affair with an inset building to the upper left of the Loveland Milling & Elevator Company. In other words, I was trapped at first glance. I knew the building was no longer in existence, but when was it built? When was it torn down? What was its story? I haven’t been able to answer these questions yet. 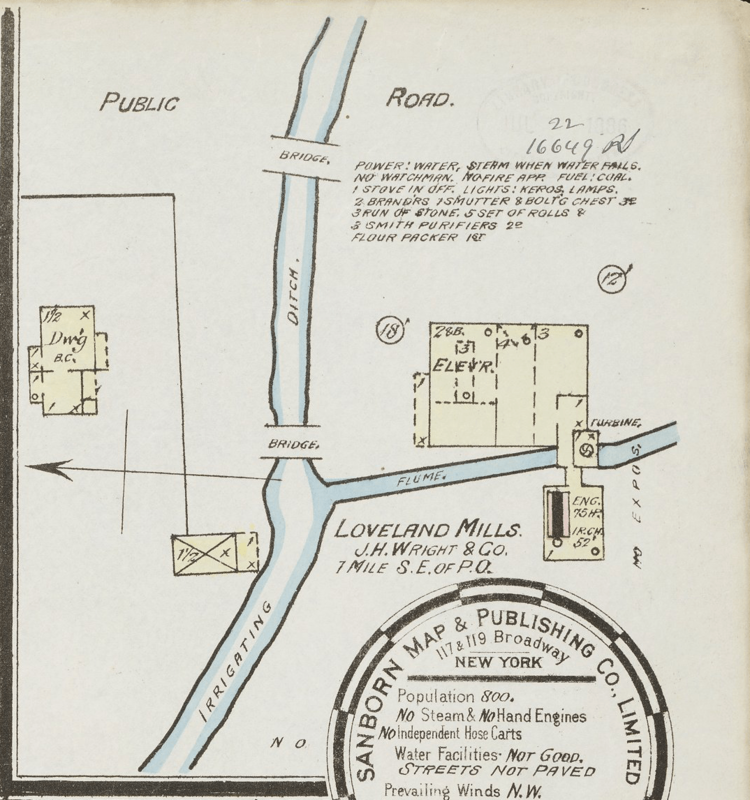 But I have found out quite a bit (of sometimes contradictory or confusing) information about the mills of Loveland. So I thought I’d put together a timeline, including links to where I’ve gathered information, with hopes that readers can help to fill in the blanks and solve some of the confusion. I’ve already received helpful information from Jon-Mark Patterson and Olivia Lowe. I’ll include that below as well. You’ll note that anything ground or sliced is “milled.” So at times you have to take in the context to know what kind of mill it is that you’re reading about. The sugar mill and a plaster mill both get a mention in here, though you’ll note they’re called by the same names as some of the local flour mills. I have added color coding to indicate location — when I’ve been able to suss that out. 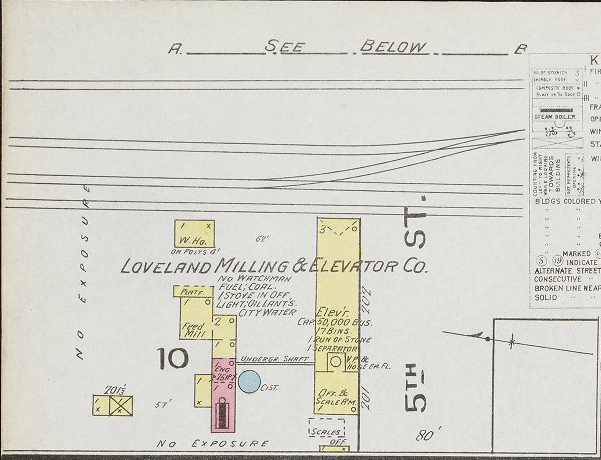 Loveland Milling & Elevator on 5th Street (inset in the 1886 Sanborn Map). 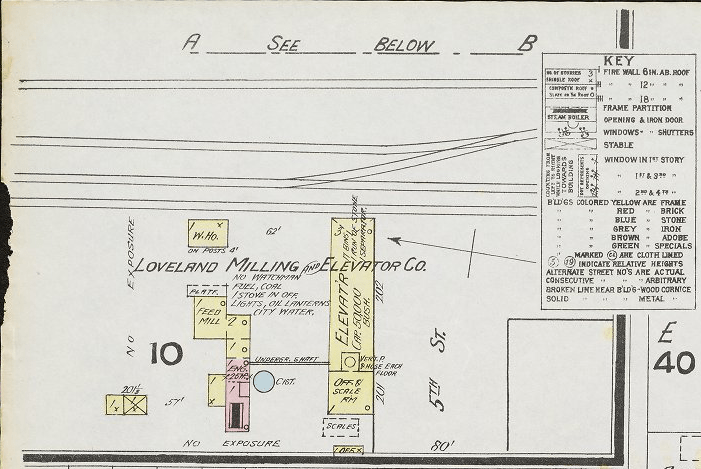 The old Douty Mill was labeled as Loveland Mills in the 1886 Sanborn Map. “$13,500 was the sum paid J. H. Wright for the Leonard mill, [AKA the Douty Mill] instead of the $15,500, as stated last week. Of this sum Mr. Wright takes $8,500 in stock in the new mill.” (Fort Collins Courier, May 28, 1891.) 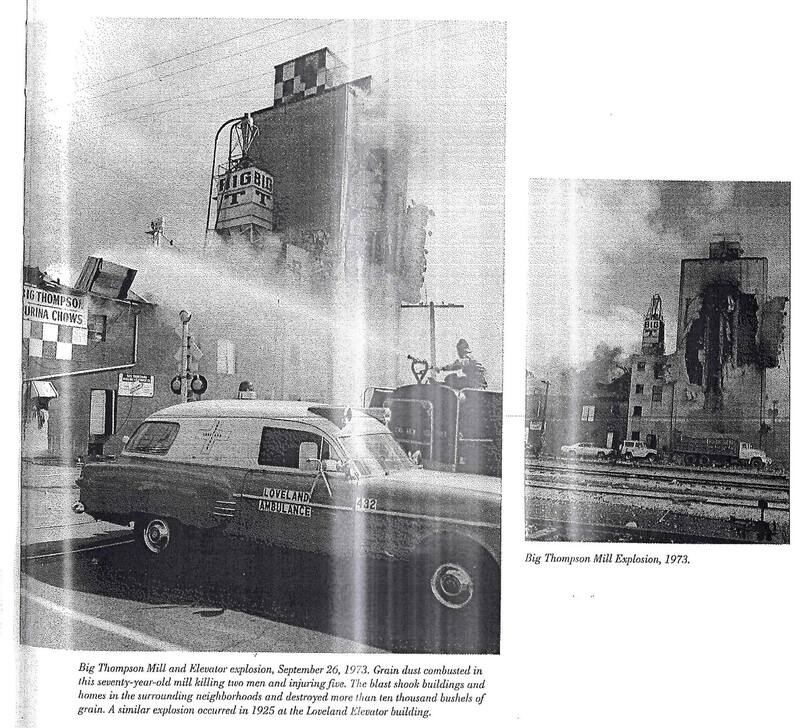 Wright apparently sold the mill to Frank Harrison. See note for next year. 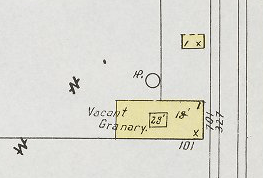 The 1891 Sanborn map shows the same mill on 5th street, but the old Douty mill is no longer on the map. “And Loveland’s Magnificent Mill Will Be Grinding in Two Months’ Time. THE DIRECTORS HAPPY. The First Step Toward a Prosperous Future for Our Handsome Little Town, as Other Industries Will Surely Follow. 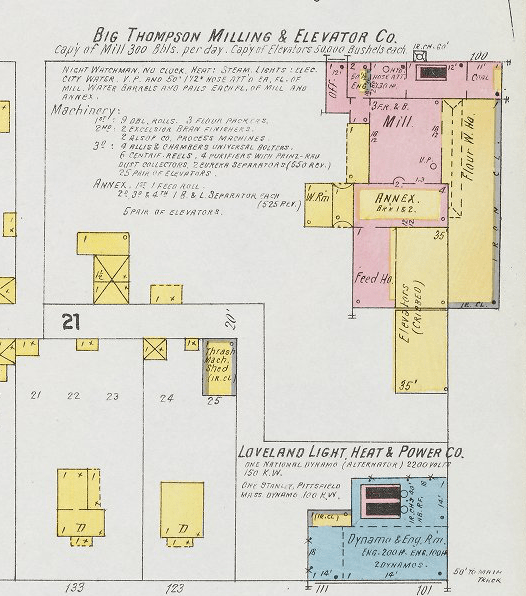 The 1893 Sanborn map shows the same mill on 5th street. There’s a new mill in town — the Loveland Farmers Milling & Elevator Co. on 3rd street. 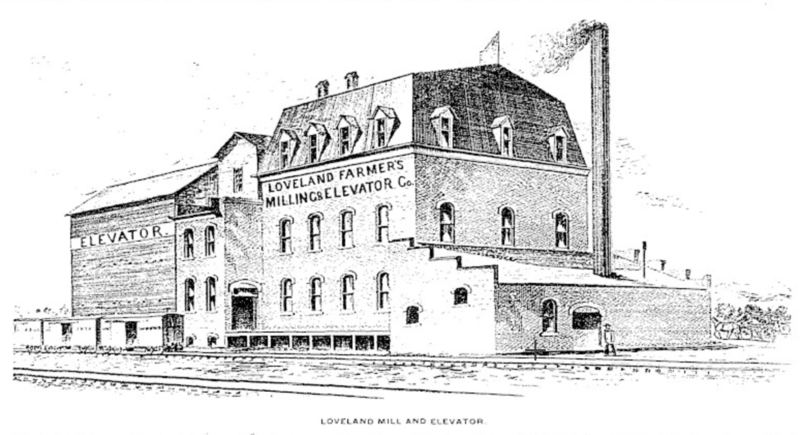 Loveland Farmers Mill and Elevator as illustrated in the January 1, 1894 Fort Collins Express. 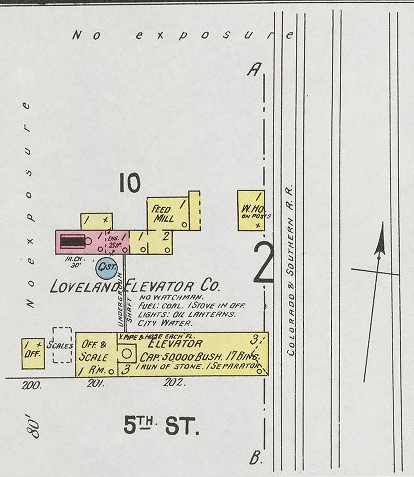 The Loveland Elevator on 5th street as shown in the 1901 Sanborn map. The Big Thompson Mill on 3rd street in the 1901 Sanborn map. 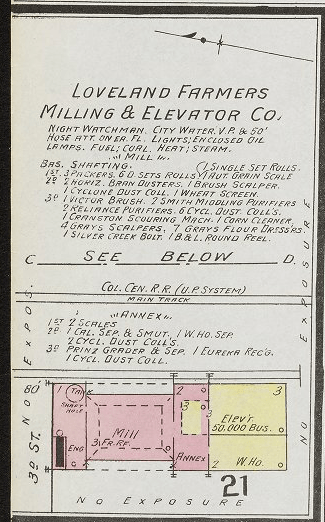 The Hersinger & Harters Elevator (no mill, apparently) in the 1901 Sanborn map (at left, along the train tracks). 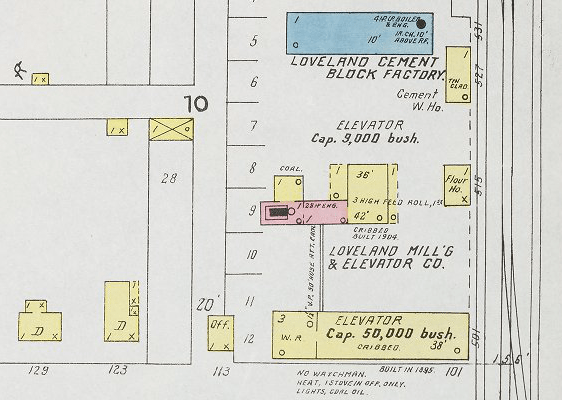 The Loveland Milling & Elevator is on 5th in this 1906 Sanborn map. 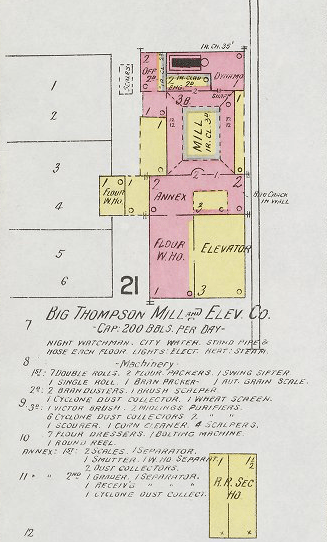 The Big Thompson Milling & Elevator is on 3rd in the 1906 Sanborn map. Hersinger & Harters Elevator is now just a vacant granary by 1906. 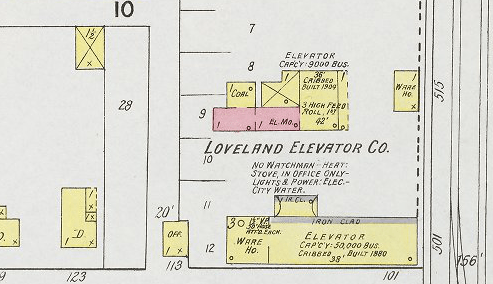 The Loveland Elevator Company stood on 5th Street in the 1918 Sanborn map. 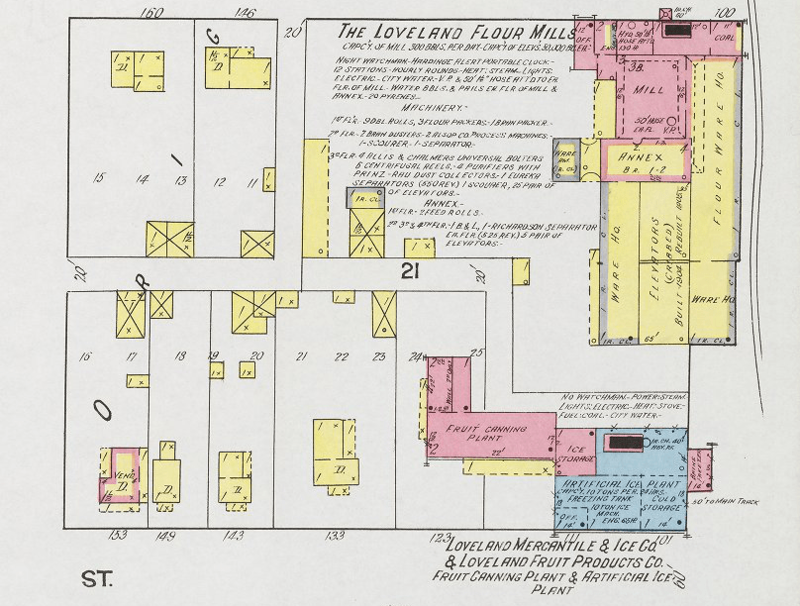 The Loveland Flour Mills were on 3rd in 1918. 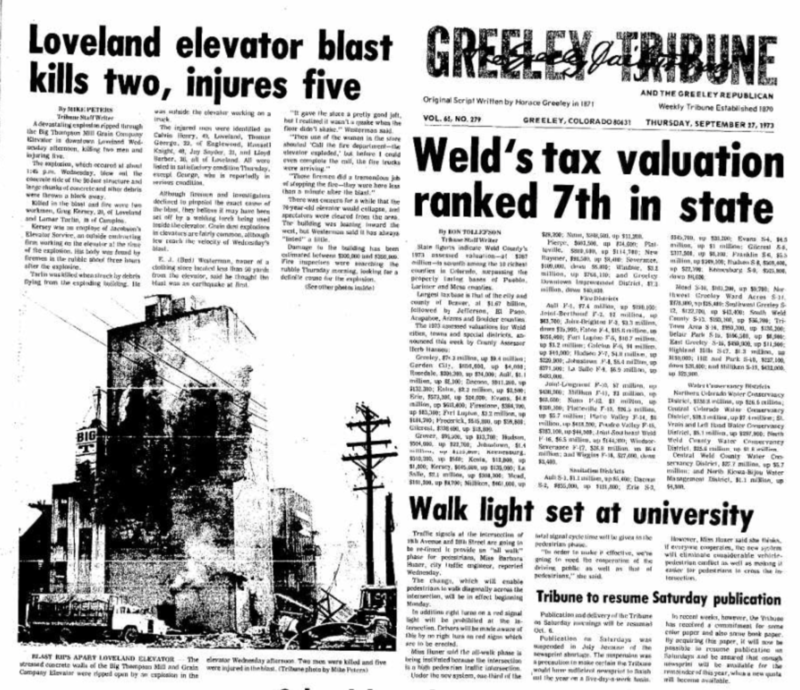 L. V. Amos, Loveland Mill and E. Co.
J. E. Byron, U. S. Gypsum Co.
Clipping from the September 27, 1973 Greeley Daily Tribune. “by Mike Peters, Tribune Staff Writer. The Loveland Feed & Grain was sold to Artspace. (“Loveland Feed and Grain Saved.” Reporter-Herald. 4 December 2015.